Skilled trades workers are always in demand and welding is no exception. Welding takes precision, spatial awareness, and a solid understanding of mathematics and engineering. If you’ve got these skills and are interested in applying them to a career as a Welding Professional, Beal College will help you get there. You can expect the training you receive from the Welding Technology Associate’s Degree or Certificate program to help you transition into an apprenticeship and, ultimately, the workforce. At the outset of the Welding Technology Associate’s Degree or Certificate program, you’ll train in metallurgy and basic welding using the shielded metal arc (stick) welding process. Once you have mastered the basics, you’ll learn advanced skills in pipefitting layout and design, and pipe welding approaches using the gas metal arc welding (MIG) and gas tungsten arc welding (TIG) methods. As a student, you will become proficient with two cutting techniques: oxyfuel and plasma cutting. You’ll also take required classes in flux-cored arc welding, blueprint reading, and quality assurance control to prepare you for employment in several welding industries. The Welding Technology Associate’s Degree or Certificate program can open doors to many rewarding career options, so you can be confident you’re making the right choice for your education. After graduating and completing your certifications, you’ll feel fully prepared and confident to start your new career. You’ll be qualified to pursue employment in a variety of manufacturing and construction industries. These include bridge and building construction, metal fabrication, shipbuilding, power generation, the petrochemical industry, the paper industry, and more. Better yet, as you acquire more experience and training, you can look forward to opportunities for advancement. Our welding lab has 14 bays outfitted with high-end equipment. Unlike other technical schools that split hands-on time between two students, you’ll get an entire welding booth to yourself. That way, you get 100% contact hours while you’re training. Keep in mind, if you choose to take the Welding Technology Certificate program, you will not be required to complete all of the courses that appear on the list. Beal College offers a 1-year Welding Technology Certificate program for those who wish to take a faster, less in-depth program. At the end of the Welding Technology Certificate program, you can sit for your certification exams. However, taking the full 20-month Welding Technology Associate’s Degree program will give you broader training (as you will take more welding courses) and you’ll graduate with a Degree, which may increase your opportunities for advancement. Graduates of the Welding Technology Associate’s Degree or Certificate program will have the opportunity to test for two American Welding Society certifications (Flux-Cored and Structural Stick) and two American Society of Mechanical Engineers (ASME) certifications (Stick Pipe and Stick Tig Pipe). Earning these certifications increases your employability. For this reason, many Beal College Welding Technology graduates are in high demand. Take your certification examinations at Beal College’s Welding Test Center. Every few years Welding Technology Professionals have to get recertified. Beal Offers a Welding Test Center where our graduates and alumni can get certified (or recertified), plus we offer those services for local businesses as well. We’ve noticed former military personnel are attracted to the Welding Technology Associate’s Degree or Certificate program. Veterans, we appreciate the sacrifices you have made for our country, which is why we want to help you with vocational training – so you can successfully reintegrate into civilian life. That’s why Beal College offers career training for military personnel, veterans, and their dependents under the GI Bill®, which is a registered trademark of the U.S. Department of Veterans Affairs (VA). We also know it can be hard having your military experience recognized in a job or school setting; colleges do not always appreciate the significant life experience that veterans have. Beal college may accept armed services courses or give credit for life experience if you can prove that your prior learning is equivalent to specific college courses. Welding is a skill used by many tradespeople, including sheet metal workers, ironworkers, diesel mechanics, boilermakers, carpenters, marine construction workers, steamfitters, glaziers, and repair and maintenance personnel. A Welder may engage in applications ranging from hobbyist home sculpture to heavy fabrication of bridges, ships, and other projects. As a welder, you may work for shipyards, manufacturers, or contractors; federal, state, county, and city governments; firms requiring maintenance mechanics; repair shops; and more. Welding is vital to our economy! Nearly everything we use in our daily lives is welded or made by equipment that was welded. Examples include office chairs, coffee pots, bridges, buses, aircraft, skyscrapers, ships, sculptures, space vehicles, cars, battery chargers, cranes, bulldozers, household appliances, pollution control devices, and more. With that in mind, imagine all of the different sectors that you’ll have to choose from when you pursue your career. 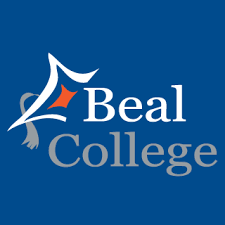 Beal College is accredited by the Accrediting Commission of Career Schools and Colleges (ACCSC).